When eating a meal with another person or group of people, it puts everyone in a very vulnerable state. Your mouth is open for a lot of the time as you jam different food and drinks in there, you’re wondering if you’re talking too much or too little and you’re hoping that you don’t knock over something on the table causing some sort of mass spillage. 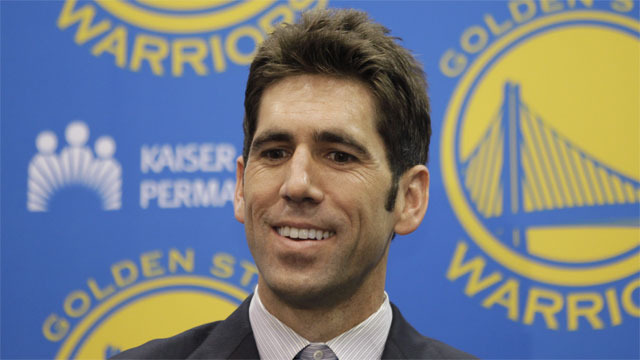 So when the Warriors invited me to a sit-down dinner with general manager Bob Myers on Wednesday night, I made sure to study my mom’s dinner etiquette book tediously to make sure I would be presentable. Let me first say that this wasn’t a formal interview of any kind so you won’t find any quotes from him here. The point of the dinner was for myself and the two other bloggers who were invited (Bay Area Sports Guy and Rich Twu from GSOM) to get to know Myers and for him to get to know us. 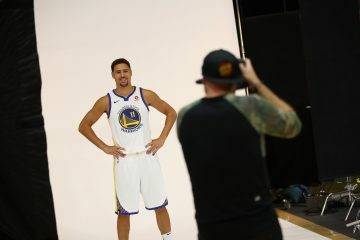 There were no recorders, no agendas – just a chance for us to sit down with one of the key cogs that makes the Golden State Warriors go. 1) He’s realistic. With the offseason the Warriors had, it could be easy for Myers to walk with his head held high and have almost an arrogance about him. While he remains fairly confident about the roster that has been put together, he hasn’t gone overboard with that confidence. He realizes everything that the fans do. He knows the good and the bad of this team. He knows that despite the improvements there is still plenty of room to get better in order to be considered an elite team. 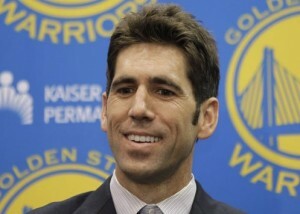 There is a lot of cautious optimism from the fans about these Warriors and Bob Myers shares that sentiment. 2) He knows what he’s doing. It’s easy for most of us to sit there and judge move X and trade Y from the comfort of our living rooms but it takes a different mind to be able to have the guts to actually make these moves and trades and do them well. 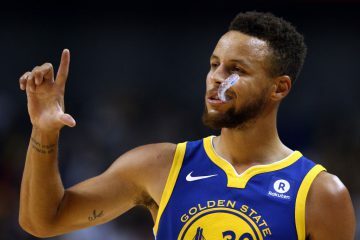 Bob knows the business side of the game very well from his brief time as general manager of the Warriors as well as his 14-year stint as an agent with the Wasserman Media Group. The trade for Jarrett Jack and signing of Carl Landry (Myers’ first two major acquisitions for the Warriors aside from the draft) are two examples that he’s making positive strides and helping steer this team in a positive direction. 3) He’s candid. Myers easily could have given us stock answers during the dinner knowing our job title involved the word “blogger” in it, but he didn’t. He answered every single question we asked with as much detail as possible and didn’t shy away from any topic of conversation. 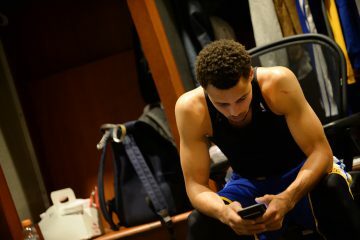 He allowed us to learn more about his thought process and plans in shaping the Warriors which up until last night, I wasn’t completely sure about. Now you might think that just because I was provided a free meal that it swayed my opinion of him to be more positive but it really didn’t (although the Jamaican jerk chicken that was served was absolutely amazing). The fact that he hasn’t really done anything detrimental to the team and has solely focused on trying to make this team better is where the feeling of positivity stems from. As I stated earlier, in his first offseason, he made significant upgrades to a lineup that desperately needed them. The team he inherited from his predecessors wasn’t quite the ideal one for a first-time GM but he has so far made the most of it. There are still a lot of uncertainties surrounding the Warriors but one thing is certain: there is a plan in place. While that probably isn’t the most appealing certainty for fans right now, we all know that when fixing something that has been severely, severely damaged, it takes a while to fix. 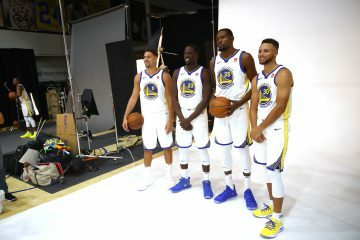 With that being said, Myers and the Warriors’ front-office have their tools out and look ready to take on the challenge. Good stuff! Top 20 is sweet. I find that Warrior Forums are awesome. Much inifrmatoon, good people and plenty of opportunities to promote yourself and help other make money.congrats!